Château Arrogant Frog is made up of 20 hectares in Grand Cru Limoux (15 organically farmed and 5 certified by Terra Vitis). Located near to the village of Gaja-et-Villedieu, (100 km from the coast), the vineyards are north-facing and at an altitude of 200 metres in the area most influenced by the maritime climate of the Limoux region. The vines are rooted in clay-limestone soils with shale and stoney, clay soils, producing the best grapes that in turn make the prestigious AOP Limoux et IGP Pays d’Oc wines. 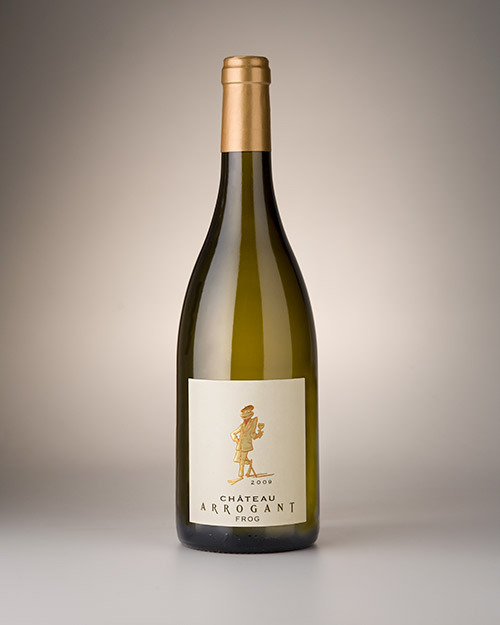 Château Arrogant has won some major awards and the Chardonnay, most notably, is considered a benchmark wine.